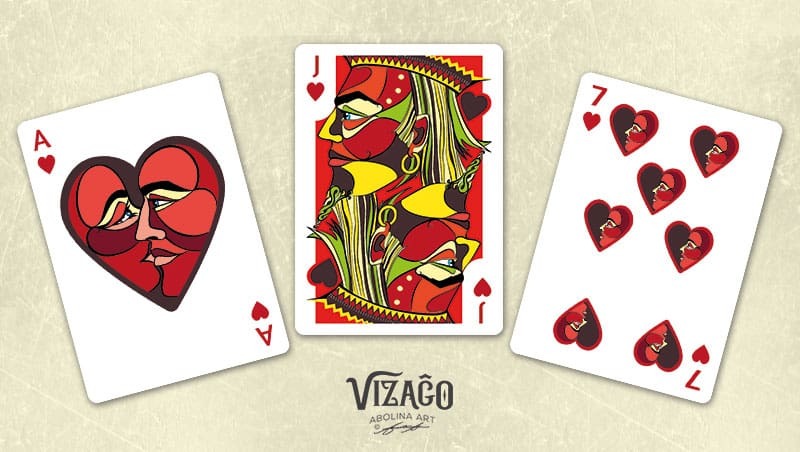 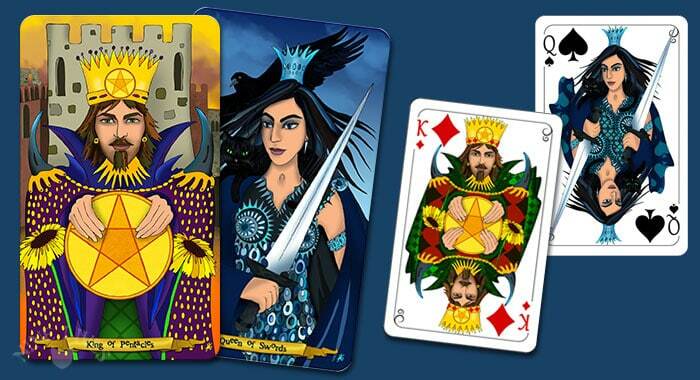 VIZAĜO is a custom illustrated deck of playing cards depicting vibrant and colourfully segmented faces. 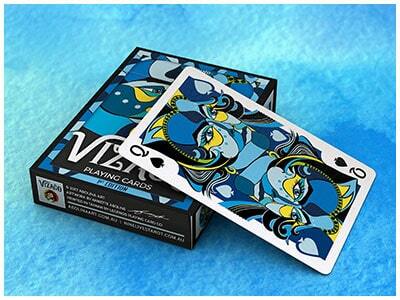 This is a fun deck, which aims to be both collectable and very much playable! 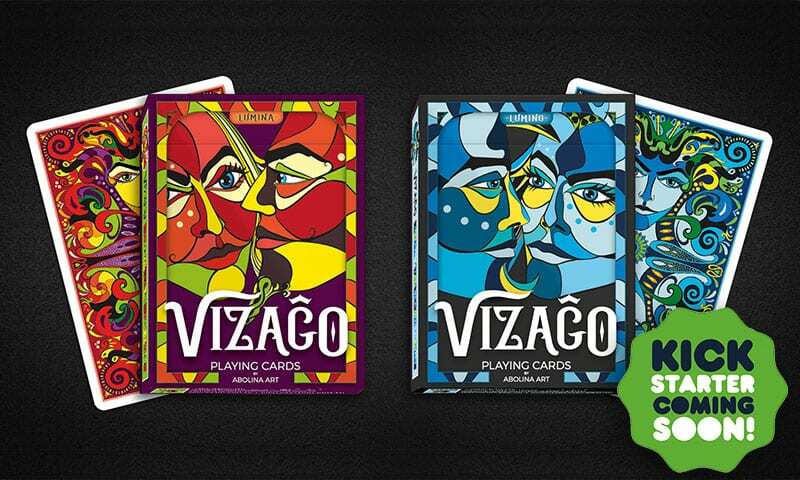 Due to launch on Kickstarter very soon, find out more in this post. 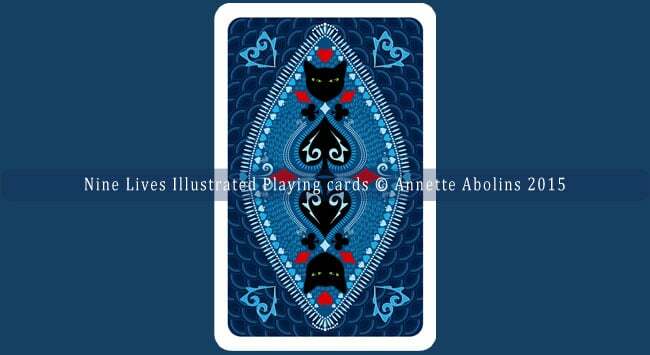 As 2017 gets underway I hope that you are all looking forward to a most joyous and creative year! 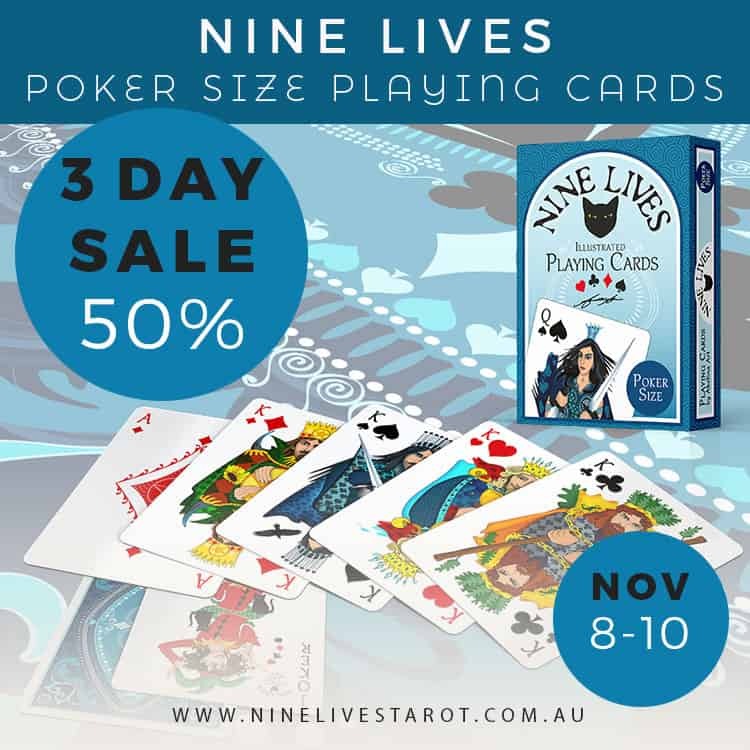 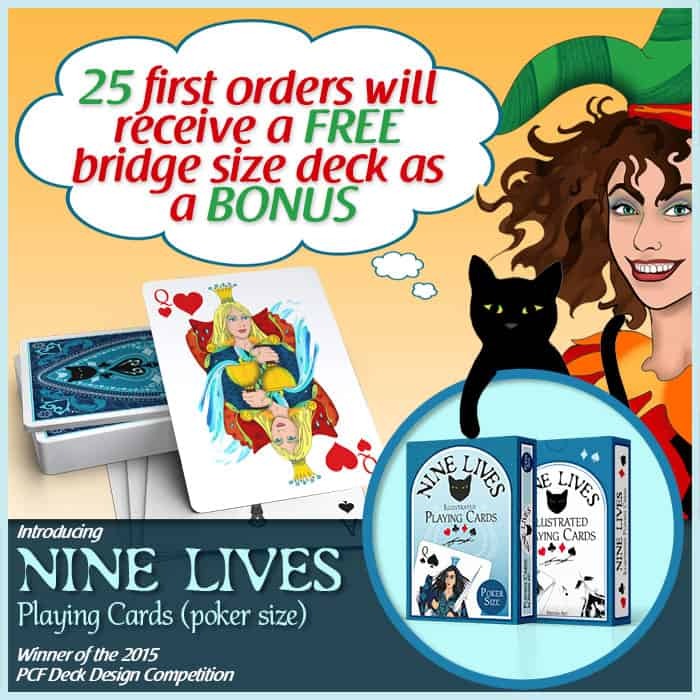 Looking back, 2016 was a busy year filled with plenty of projects … June saw the arrival of Nine Lives Playing Cards – the new poker size deck, featuring refined artwork. 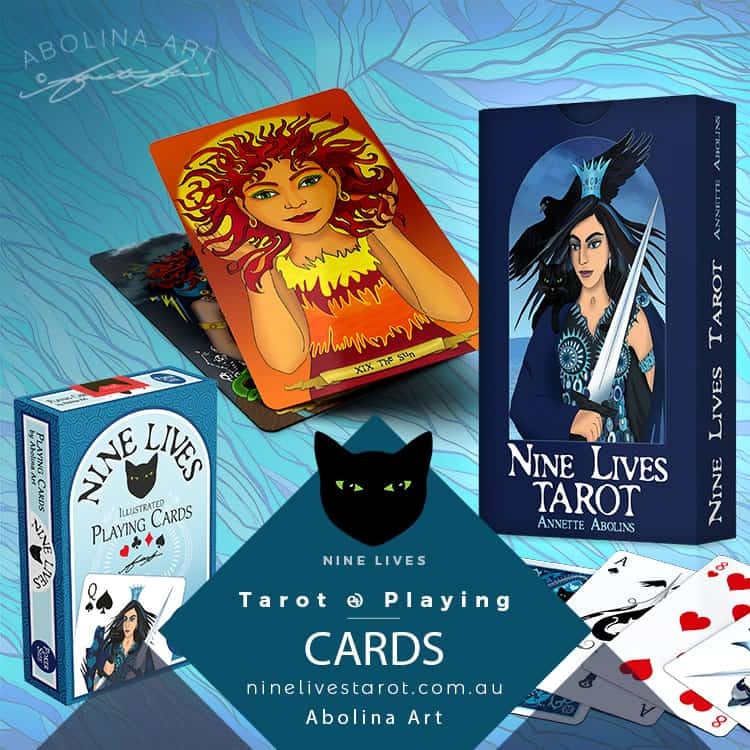 In this post I share a few comparisons between reading Tarot and Playing Cards, which may inspire you to look at playing cards in a different light. 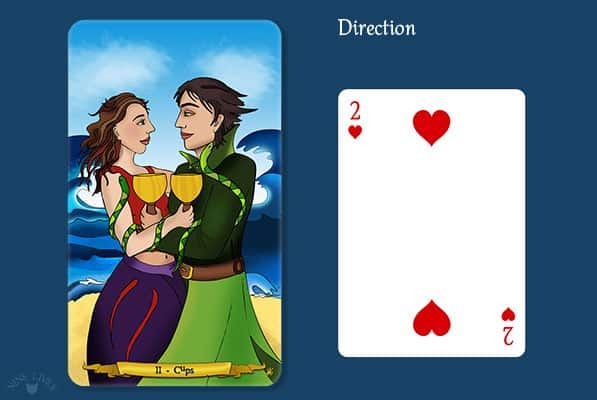 A visual side-by-side look at the cards and their meanings, comparing similarities and differences between the two systems. 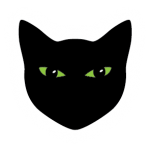 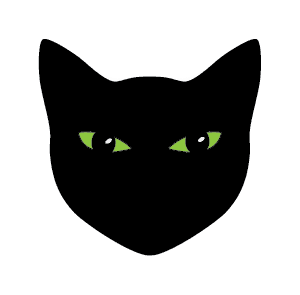 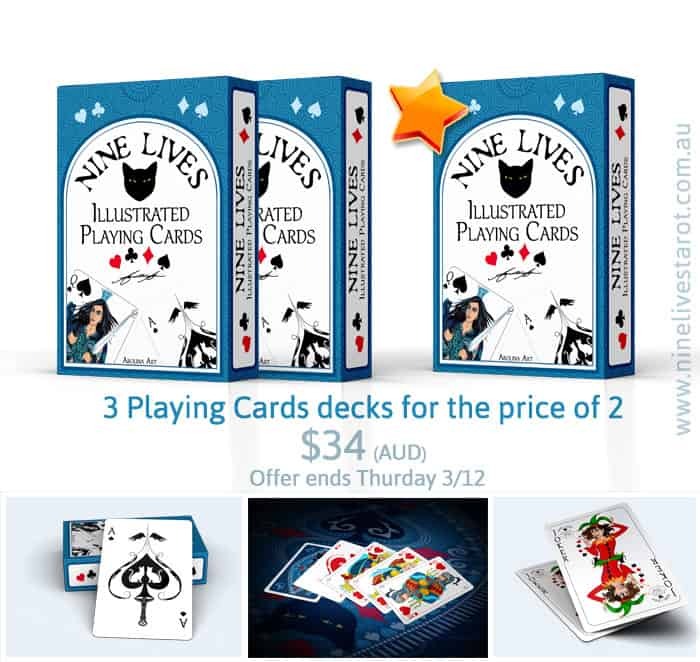 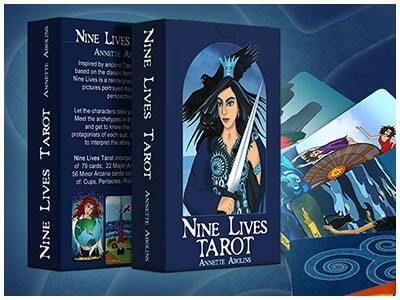 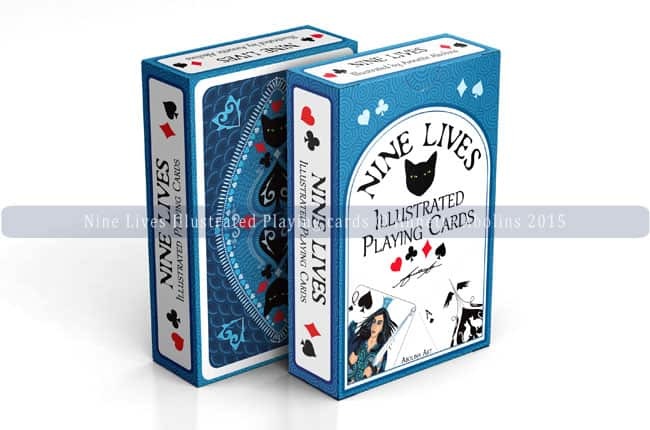 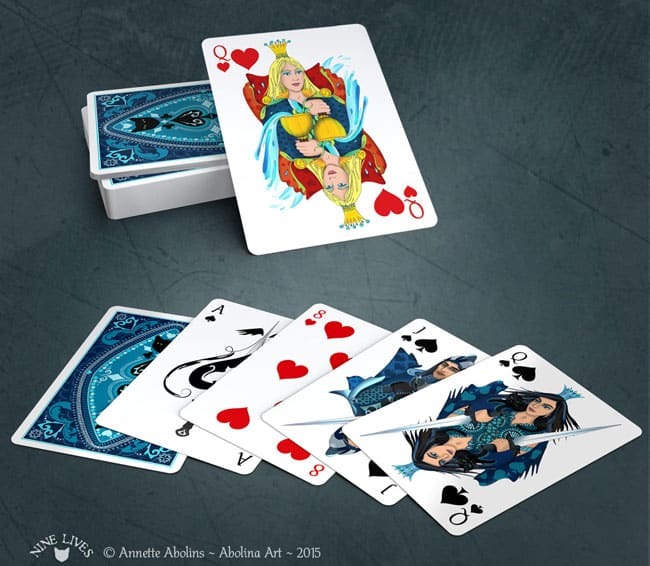 Here is a preview of Nine Lives Playing Cards – the poker size deck… After a busy month of adjusting the original artwork, painting additional detail (to make use of the wider card size), and repositioning indices and other elements – the design is completed… and has been entered in the 2nd Annual PCF Deck Design Competition.